The book “Real price of coal during the war in Donbas: a glimpse through the lens of human rights” analyzes economic, social and environmental impacts of coal mining in Donbas under current conditions. 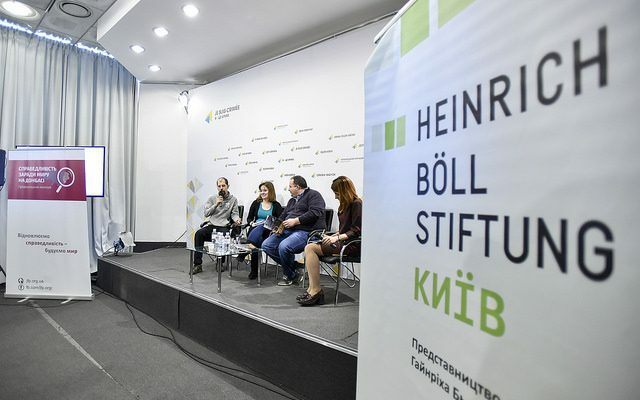 It is the result of a research conducted by the Eastern Ukrainian Center for Civic Initiatives in collaboration with members of the Coalition of NGOs and initiatives “Justice for Peace in Donbas” supported by Heinrich Böll Foundation in Ukraine. An English version of the book is also available. 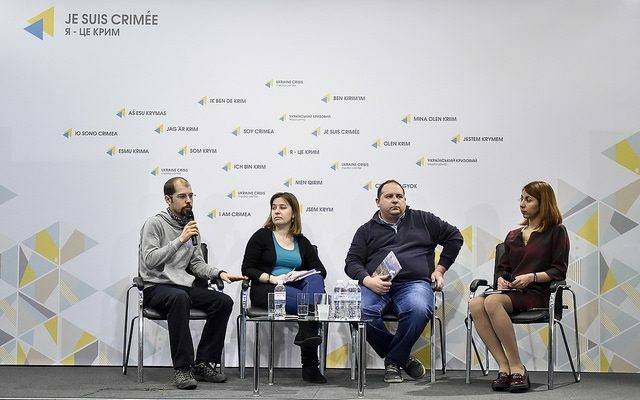 This was reported by authors and partners during the presentation of the book at Ukraine Crisis Media Center. 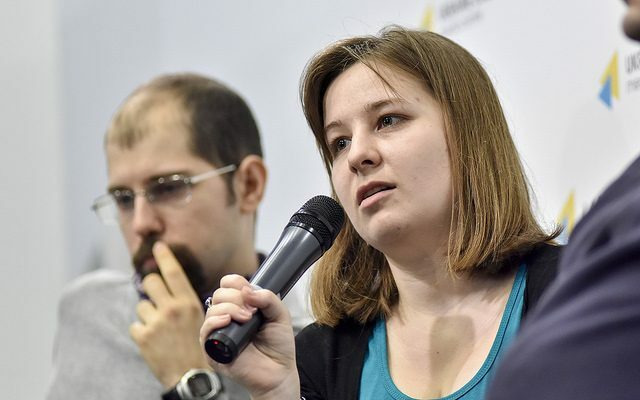 According to Oksana Aliieva, coordinator of program “Climate changes and energy policy” of the Heinrich Böll Foundation in Ukraine, the issue of the necessity of the transition from coal mining to renewable energy sources is of paramount importance. 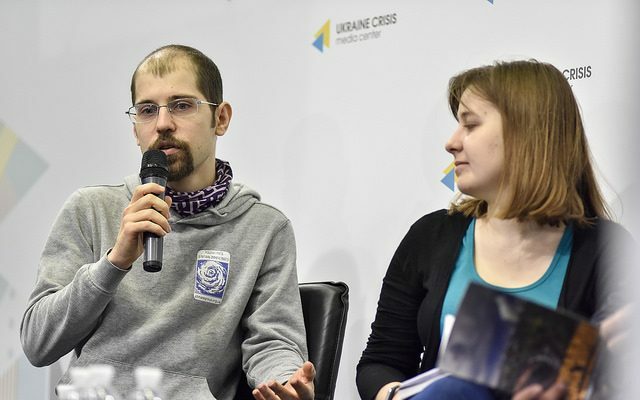 Volodymyr Shcherbachenko, head of the NGO Eastern-Ukrainian Centre for Civic Initiatives, noted that the research helped to look at the problem in a different, humanitarian context. “We had several sources of information. We paid monitoring visits, traveled to those coal mines, cities, villages in government controlled areas where mines continue working. We also visited the villages on the boundary line: Toretsk, Artemove, Novotoshkivka,” he said. They interviewed miners and their families and sent requests to government agencies for statistical information. Mr. Shcherbachenko stressed that the research does not claim to be academic, it is rather a public opinion designed to provoke public debate. This issue concerns, first of all, violation of labor relations at mining enterprises, like overdue salaries, violation of labor safety regulations, etc. This is the topic of Chapter IV “Abiding by social and labor rights”. 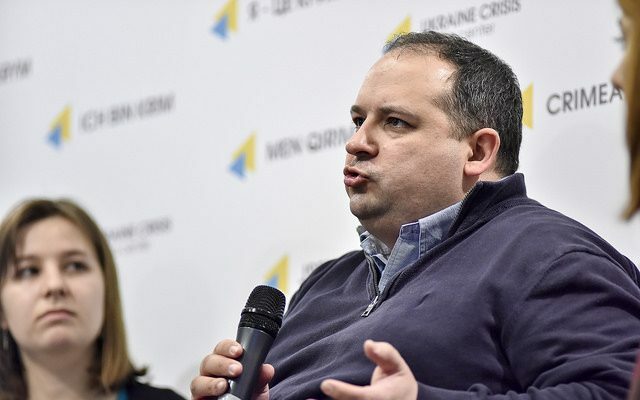 Anastasia Nekrasova, analyst at NGO Eastern-Ukrainian Centre for Civic Initiatives, noted: “After the conflict began, 70% of coal mines remained in militants-controlled territories. […] Therefore, there is no control over labor safety. […] As for overdue salaries, in December 2016 we had information about almost 400 million debts at state-owned enterprises. People often try to go on a strike, like it was in Makiivka, but it does not give any result. The book also researches the issues of child labor and discrimination of women at coal-mining enterprises. 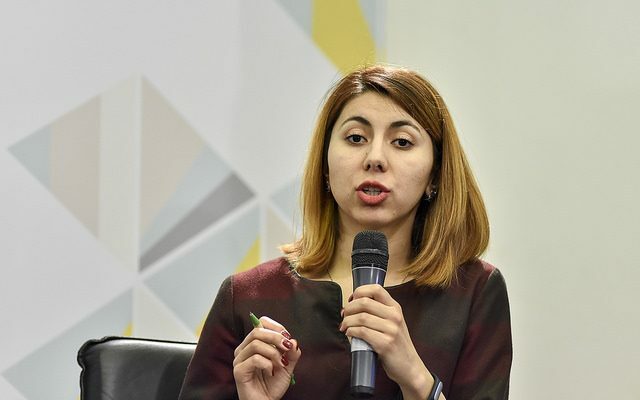 According to Ms. Nekrasova, women are socially active, but they do not usually have any senior management positions, do not work underground and get lower salaries. Thus, a woman is dependent on her husband. “There are no shortcuts. […] Significant political changes are also required,” believes Oleh Savytskyi. Switching to renewable energy is urgent. The authoritarian structure of the coal mines where people are dependent should be changed. When miners have no alternative to become employed, the government should open the way for their professional retraining. Anastasia Nekrasova noted that mining sites should be closed gradually. New enterprises should appear on the basis of the old ones. “There should be a clear humanitarian component to support the citizens of Ukraine who live in conditions of blockade,” concluded Mr. Shcherbachenko.